I have used an Elzybells stamp from their 'Teddy Surprise' clear stamp set and coloured it with Promarkers. 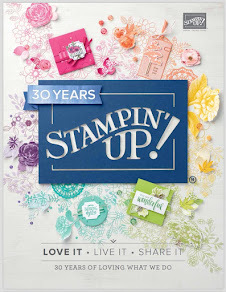 All the other products used are from Stampin' UP! Gorgeous card Teri, my fave SU colours! 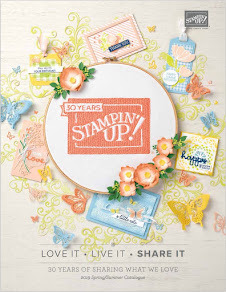 ADORABLE CARD....Love that image and colors! 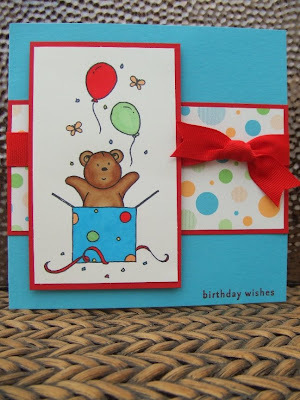 adorable image, fantastic colors and as always . . your card is fabulous. cute, cute, cute and cute again! Love the card i too am an elzy fan - congrats on winning monicas candy!!! Really like the colours, think I may need to get some Tempting Turquoise. I've only just started my SU collection and have limited pallette right now. So cute. I love the spots on the box mirrored by the spotty background paper. By the way I have an award for you on my blog if you have time to play along.